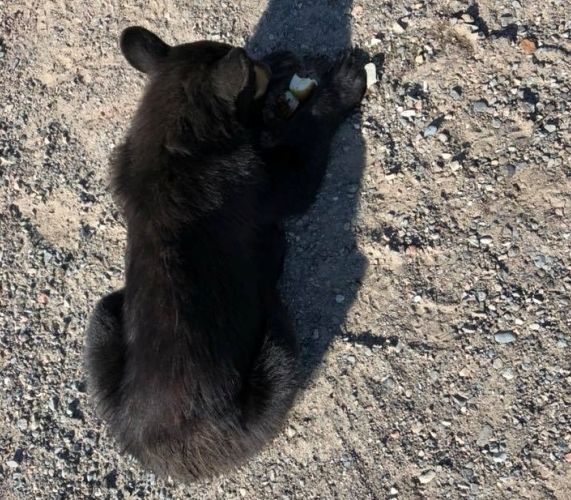 The Greater Sudbury Police Service says it acted appropriately earlier this week when officers killed an injured bear cub. The cub was struck by a vehicle near the airport, but according to witnesses, he was moving about after the collision. 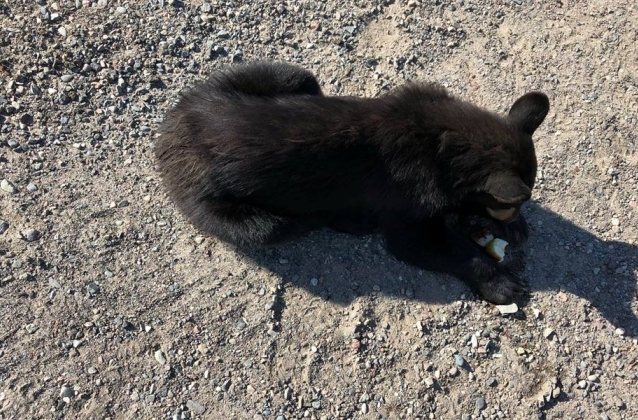 "We saw something in the middle of the road that turned out to be a bear cub. Someone had hit it in their car and driven on and left him," Anne Chadwick said on Facebook. "Another car stopped at the same time as us and we helped get him to the side of the road to safety whilst I called 911 for help. It initially looked like he might have broken either one or two of his legs on one side but as time progressed he was weight bearing on both legs and trying to get up and move about. All positive signs." Chadwick dropped off her husband at the airport and returned to the scene. She waited with other passerby for the police to arrive. "During this time the little guy looked like he was getting stronger and kept trying to get up and move," she said. "He was hurting though, and had some blood on his snout as well. He was curious and kept sniffing at me." 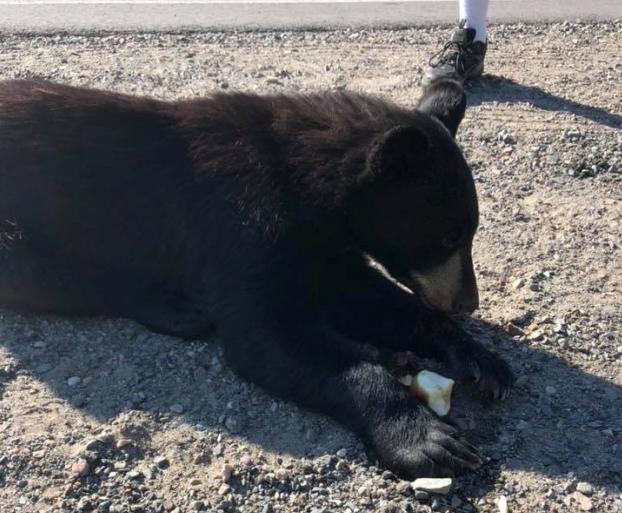 The police arrived and made a decision to shoot the bear, although Chadwick contends officers had made up their minds prior to assessing the cub's condition. "They told me they were dispatching the bear before they'd even looked at him," Chadwick told The Star. "She (the female officer) told me that as she was walking towards me. She hadn't even approached the bear at this point. ... The decision was made before they arrived. I was there for the whole thing." During this time I'm bawling my eyes out and the female office kept saying it was for his own good. Now don't get me wrong I totally agree with euthanasia in the right circumstance but this poor thing hadn't even been given the chance to be rehabilitated and released! There are sanctuaries not far from Sudbury that do this kind of thing. I was told this is "standard procedure". However, I've since learned shooting should only happen that quickly if there is a threat to public safety - well the 40-45 mins I spent with this cub and had him smelling me and letting us comfort him clearly showed he was surely not going to eat us (I know mama bear could have been close but if she was she'd left well alone by this point with all the cars and people around). He looked well enough that he could have been helped (obviously I'm not a vet and don't know for certain but neither were those police officers). At the very least from what I've read he should have been tranquilized first. Responses to "Police officer shoots injured bear cub in the middle of the road"